Vi mødes til en hyggelig snak, kaffe og hjemmebagte boller to torsdage om måneden fra kl. 11am-1pm. Bliv medlem af gruppen "Mødregruppen i Sømandskirken" på facebook. Her kan du holde kontakt til de andre mødre i gruppen og holde dig opdateret med aktiviteterne i mødregruppen. Mothers’ Group in the Danish Seamen's Church is intended for pregnant women, new mothers, and mothers with small children who have ties to Denmark. 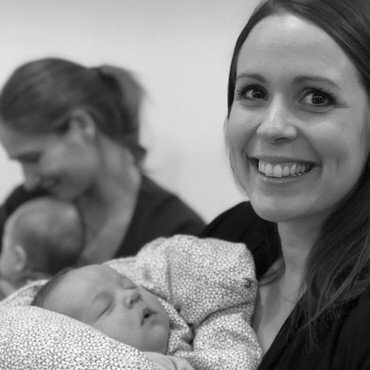 Mothers’ Group is a relaxed meeting place where you can speak to other Danish mothers about being pregnant, giving birth and having a small child as a Danish mother in New York. We get together over coffee, home baked buns, and a nice chat twice a month on Thursdays 11am-1pm. Join our group "Mødregruppen i Sømandskirken" on facebook, and stay in touch with the other mothers in the group as well as updated on the activities in Mothers' group.